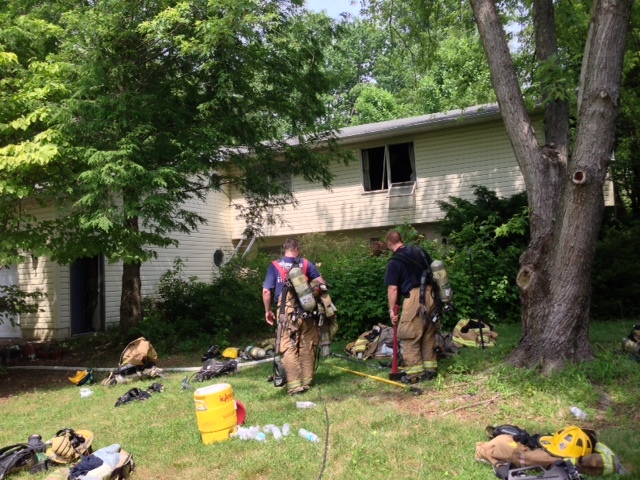 At around 2 p.m. today, County Firefighters responded to a dwelling fire in the 700 block of Appomattox Road West in Davidsonville. Upon arrival, fire was evident from the rear of a two-story occupied dwelling. Forty-eight personnel were able to bring this 2 Alarm incident under control in 30 minutes. The cause of the fire was determined to be unattended cooking. The home suffered $15,000 in total damage. Smoke detectors in the home were found to be inoperable. One adult occupant is being assisted by the Red Cross and no injuries were reported.